American born, Jody Julien has more than 20 years’ experience working in strategic roles within major international corporations as well as small and medium sized businesses. Her professional and personal experiences make her versatile in the range of problems and solutions typically experienced in international and multicultural environments. Her background includes a variety of leadership roles in Human Resources, Purchasing, Logistics, Communication, and Finance throughout North America, South America and Europe. She has obtained an excellent perspective of the problems that companies face today. Because of this experience, Jody has the capacity to quickly understand her clients’ environments, issues and challenges. Jody created J2 Coaching & Consulting in 2011 with the aim of sharing her experience with businesses and leaders confronted with crucial developmental challenges requiring strong leadership. She is supported by a network of partners who provide a wide range of expertise to respond to the needs of the client. Authentic and supportive, Jody assists the client in their development. She is dynamic and successful at working side by side with leaders and management teams by helping them to challenge their perspective and consider innovative solutions to overcome roadblocks in order to achieve their goals. 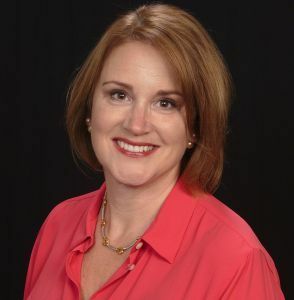 A graduate of International Business (University of Oakland, Michigan, USA) and holding a Master’s Degree in Strategic Human Resources (RIT University, New York, USA), Jody Julien is also a trained and certified Executive & Life Coach (ILCT – USA, HRS Institute Change Management – France, ORSC Systemic Coaching – France). She is also a member of the International Coach Federation (ICF) and Professional Women’s Network (PWN).